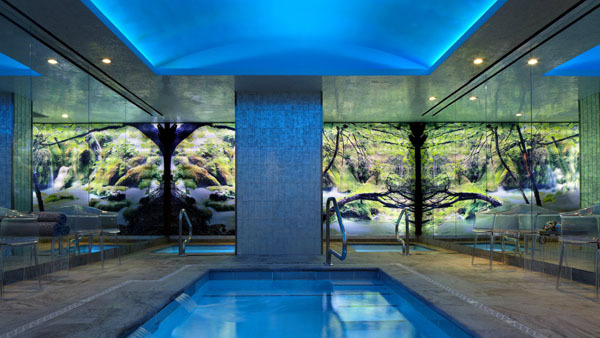 One of our favorite events of spring is Spa Week that happens from April 17-23 when the nation’s top spas offer their signature treatments at a highly discounted price of only $50 to recharge and rejuvenate back to your healthy self. From holistic salt therapy centers to detoxify the respiratory system, to standing in a -160 degree Cryotherapy Chamber to reduce cellulite and improve circulation, these signature services – normally valued at anywhere from $100 to $500 – will be available for just $50 each. Here are some of our favorite places to escape into a state of pure bliss. Escape from the bustle of Times Square to the peaceful sanctitude of the The Red Door Spa located in basement of The Chatwal. This paradise will let customers forget their busy daily routine, regardless of whether they choose to stay for a couple of hours or spend the night at The Chatwal. Their comprehensive spa menu makes sure everyone will fall into a state of luxurious deep relaxation. Boasting a size of 2,400 square feet, the new Red Door Spa at The Chatwal includes three magnificent spa rooms, three private changing suites with steam showers, and a manicure and pedicure studio. Other luxurious amenities like the fitness center, saltwater lap pool, jacuzzi and a relaxation lounge with spa aperitifs add to this truly dreamlike oasis. A variety massage offerings include the Signature Stress Melter Ritual, an integration of soothing services with an olive oil skin softening scrub, aroma therapeutic body wrap and massage which are perfect for all those that need to alleviate stress and aim for a peace of mind. The exclusive and original treatments, as well as the luxurious atmosphere turn all the hustle and bustle into a distant dream. Since their opening in 2005 in Manhattan, L’Institut Sothys New York is known for their quintessential French spa treatments. Using their renowned facial skincare line, their European facials allure their customers into a world of deep relaxation while hydrating and renewing the skin. In fact, Sothys estheticians are trained by estheticians from the Sothys Institut de Beaute in Paris, which makes them exceptional. Hence, the customers are provided with an extraordinary experience, which is part of Sothys authenticity. It is their goal to address every skin and body care need and make every customer feel comfortable with their own skin. Their signature treatment is the soothing European Facial designed to maintain a healthy, clear complexion. A customized selection of Sothys products are chosen toaddress the current needs of your skin. Thorough cleansing followed by the application of an ampoule and treatment mask refresh the skin while a relaxing facial massage helps alleviate stress and provides a sense of wellness. 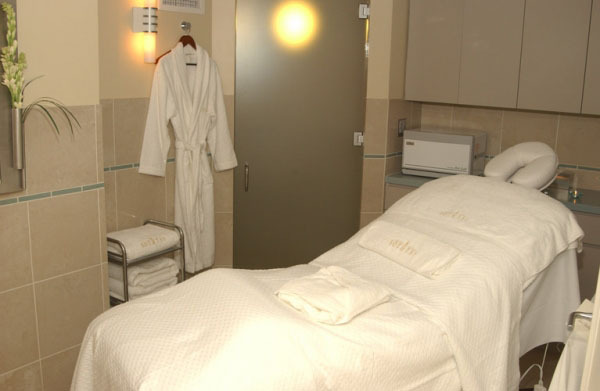 Interestingly, the spa boasts 10 treatment rooms and is the only comprehensive retail center in the United States that carries the entire range of Sothys products including facial care, body care, men’s care, sun care, makeup and specialty treatments. In case you do not know which product suits you best, the friendly and skillful staff will gladly help you find the perfect match.